UN Secretary General Ban Ki-moon has expressed concern over targeted attacks on civilians after a trolleybus stop was shelled in Donetsk city in eastern Ukraine. 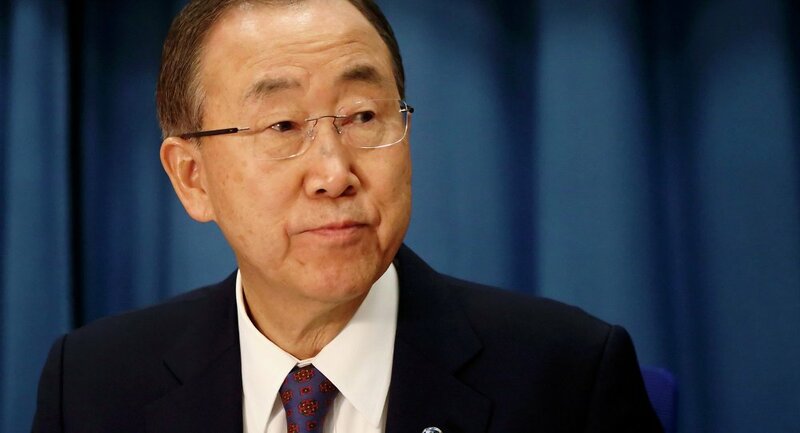 UNITED NATIONS, January 22 – After a trolleybus stop was shelled in Donetsk city in eastern Ukraine, UN Secretary General Ban Ki-moon has expressed concern over targeted attacks on civilians. "[Ban] is deeply alarmed by the unrelenting violence in eastern Ukraine. Lack as adherence to the ceasefire has resulted again today in the loss of dozens of lives, including of at least ten civilians when their trolleybus was hit by shelling in Donetsk city, in what appeared to be a targeted attack," Spokesperson for the Secretary General Stephane Dujarric said at a press briefing Thursday. Ban's spokesperson emphasized that "the enforcement of a sustainable ceasefire, which presently exists in name only, is urgent". The news came shortly after the ministerial meeting on Wednesday in Berlin, where the foreign ministers of Russia, Ukraine, Germany and France tried to reach progress on Ukrainian crisis settlement. On Thursday morning, a mortar struck a trolleybus stop in Donetsk, killing between nine and 15 people, according to various sources. The Organization of Security and Co-operation in Europe Special Monitoring Mission to Ukraine (SMM) has also called for immediate ceasefire in Donbas in the wake of the tragedy.